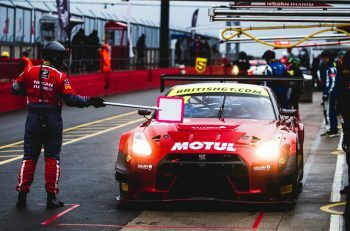 The overcast and cold conditions at Donington on Saturday were lifted somewhat by the varied sight and sounds of the best mix of manufacturers the British GT Championship has enjoyed so far this season. 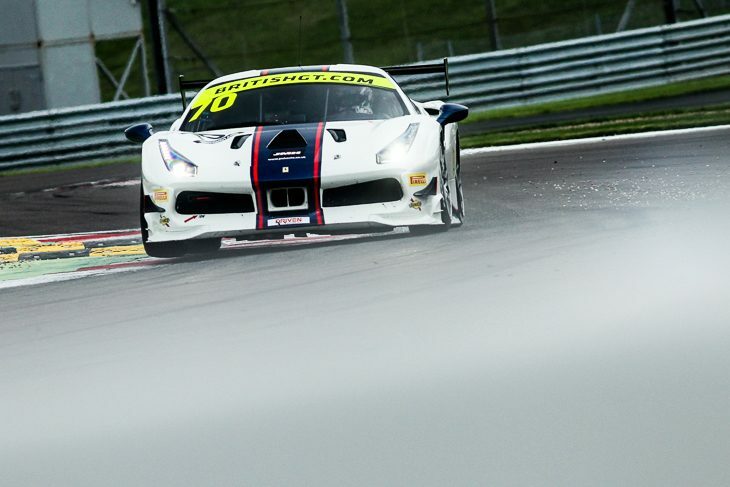 Not only were the somewhat-sporadic RJN Nissan and Balfe McLaren out to play in GT3, but for the first time this season we had a Ferrari in British GT, albeit a Challenge-spec car, being the sole entry in GTC. The GT3 Balfe McLaren was out for the first time in competitive action in the hands of Brands Hatch GT4 class winners Graham Johnson and Mike Robinson. The pair have tested, including at Donington Park, but are raring to go and very impressed by the car. GT4 also sees another new entry, a toe-in-the-water exercise for Ciceley Motorsport and its Mercedes-AMG GT4. BTCC regular Adam Morgan explained: “Ciceley are looking to expand into new forms and different types of racing. We want to show that we can run in a GT paddock and gain experience. Our aim here is to have no dramas, get to the finish, show people that we’re here, that we can do this and hopefully raise some interest. So possibly we could be here next season. There are also two Ultratek Racing Team RJN Nissans back for the season finale, and returnee Stephen Johansen in the #54 370Z GT4 was a happy man as a result. “I’m so glad to be back out there,” he said. “I haven’t even sat in the car since Snetterton, so I’m having to learn where all the buttons are again, let alone how to get on top of the car! It’s a bit frustrating, having finished second in GT4 and won our class at Rockingham, but then Jesse [Antilla] couldn’t do the next races, so I’ve been waiting for my time to get back in. Points leader Adam (#75 Optimum Motorsport Aston Martin) was in something of a quandary. “I want to get a podium for the Vantage in its final race, but we have to keep one eye on the picture for the championship. Donington has been good to me, it’s where I got three championships for clients and two for me. We have a different situation here, because we’re not behind and in fact have a bit of a gap. The pace looks good for the race and for later today where I think we can challenge for a front-row place in qualifying. It’ll be a case of common sense really, but I would love to bow out with a good result after driving this car for seven-and-a-half years in what’ll be my 90th start in a Vantage. The championship permutations are even wider in GT4, with five crews having a chance at the driver’s title. 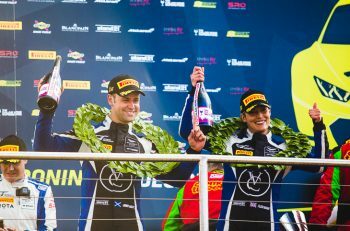 Ben Tuck and Ben Green sit second in the table going into 2018’s last hurrah in their #42 Century Motorsport BMW (now carrying an extra 20kg through a Balance of Performance adjustment) but Tuck was allowing himself to dream a little. “It has all come a bit too quickly, it seems like only yesterday that we were being announced in the BMWs!” he said. “But then it has been too long since the last race; six weeks is a long time and we haven’t done any testing in between, so today was the first time in the car since Brands Hatch. It was a bit of a struggle at first, but we got up to third on pace [in FP1] so it looks okay and we’re both feeling good about the weekend. “It took us a couple of weekends to get the base setup. The BMW was entirely new to the championship and new to all of Europe, so although BMW had done a great job, all the teams running them were doing the development for the car. At Snetterton and Silverstone, we got the magic setup that makes the car work, and we know how to adjust that to make it work anywhere, so Century and BMW have done an excellent job. Century #43’s Jack Mitchell is the current points leader however, and due to a mid-season co-driver change, he carries that lead entirely on his shoulders. “It’s a tricky one, in an ideal world I’d think of it as just another race weekend, but there’s the championship and anything can happen.